Tucked away in picturesque Green Lake, Heidel House Resort’s luxurious destination spa is the ultimate Wisconsin spa retreat. With the first step into Evensong Spa’s doors, guests enter an oasis of relaxation. Evensong is a refuge for healing and for energizing the mind, body and spirit. Services range from highly advanced skin care to natural holistic, and aromatherapy – all pure and all enhance the body’s natural state of being. In addition to the range of services, Evensong invites guests to experience the first class amenities including a waterfall whirlpool, eucalyptus steam room, relaxation room and, particularly stunning, the meditative indoor labyrinth. 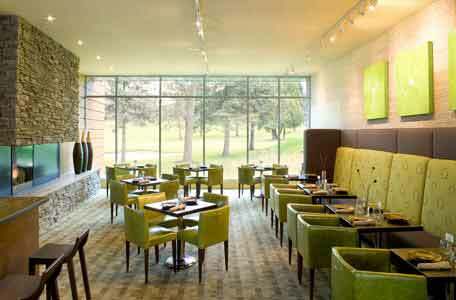 Stunningly furnished and including 12-foot windows overlooking the beautiful Tuscumbia Country Club, the Evensong Spa Café is one-of-a-kind among spa resorts in Wisconsin. It is available to spa guests only and serves a healthy array of entrées from 11 a.m. to 2 p.m. daily. Relax, unwind and get away from it all. Whether you’re looking for the ultimate spa day or an overnight resort stay, we have something to make your experience unforgettable. 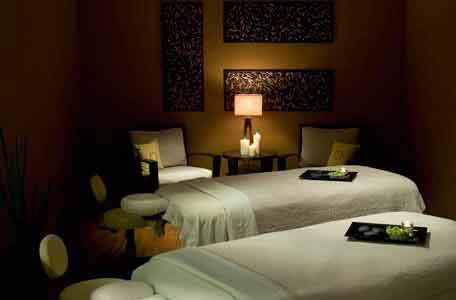 Choose from a variety of Wisconsin spa package options that may include signature services, refreshing meals and more. Looking for Wisconsin spa deals? Evensong offers seasonal spa specials throughout the year. With names like Spiked Pecan Pie Body Treatment, Coconut Milk Facial and Bahama Mama Pedicure, you’ll love the names as well as the specialty rates. See what’s available now!